That thing over on the right is the last Super Moon, as seen from our yard in Rockland County. It feels like there have been a lot of super moons lately--or am I just imagining that? I saw a comment on Facebook about how the words "the moon" in conversation are almost always preceded by "Oh, Wow! Look at..." I think that's true. If you notice the moon enough to comment on it, it's probably huge. Or blood red. Or really bright. I'm in a Super Moon moment right now. I just sent in a manuscript to my usual young adult publisher. Don't usually admit that in public, because I believe it jinxes things, so as I nervously wait for the direction of the acquiring editor's thumb, all I can do is stand slack-jawed, gazing at the sky. Oh, wow. I finished another book. And we shall see what comes of it it. Cross your moonlit fingers for me, OK? Suddenly there is--gasp--time. I could actually READ a book (I've done some of that these past few days). Or perhaps revise some of the backlog of early-draft poems I've built up and get them submitted (doing that, too). There's a book I just read by a friend of a friend that I want to review: Passing Through Humansville by Karen Craigo. It's a really terrific collection of poems, and now that I've actually blown the dust off my blog, I think I'll get that review taken care of this afternoon. Ever read a book by another writer working your side of the street, LOVED it and NOT been jealous? Karen's book is good enough to disarm writerly jealousy. There's a Super Moon moment for sure. Oh, wow. I've also been planning another poetry reading in NYC with my friends Rick Mullin and Hilary Sideris. Those two and I had a great time at KGB Bar in downtown NYC a couple of years ago, and I'm looking forward to a Saturday afternoon in May when we can put on another show. KGB's a really fun place, full of Soviet-era nick-nacks, dark and broody, and very literary indeed. Watch this space. It's Ash Wednesday today, and being as Ken and I work for the Presbyterians now, I'm not going to go get a dirty face, even though I'm still officially an Episcopalian. (I've fallen out of the habit of making New Year's resolutions lately also. I'm much more of a play-it-as-it-lays kind of girl. ) But I do like liturgy and annual traditions, so perhaps my Lenten discipline this year will be to keep this blog a bit more active. It's good to write about writing, and it's good to do the kind of essay that blogging requires. I was going to say something about the atrocious state of American politics right now, but maybe that's too much discipline. Next time. So onward and upward. And do cross your fingers about that manuscript for me, willya? Bean 3 Book of the Month at LAS...and Poetry, too! When the third novel in your YA trilogy gets Book of the Month in a poll on Long and Short Reviews after they gave it four and a half stars, that's wicked cool, and deserves a hamburger out. So Ken and I went and got one, taking The Mom along for the ride and the snack. To the right is what happens if you give an iPhone to your 94-year-old mom and show her how to use the TinType app. I actually really love the picture. I'm still pretty chuffed about that WHAT TIME IS IT THERE? review from LAS. It's one thing to get a solid review from a friend-of-a-friend or a fellow author who knows you from the Facebooger. But when you get a good review from someone who has no reason to give it to you other than her own pleasure at having read your book, that's a reason to put on your big, black reading glasses and let your husband make rabbit ears behind your head. Go Bean and Zak! 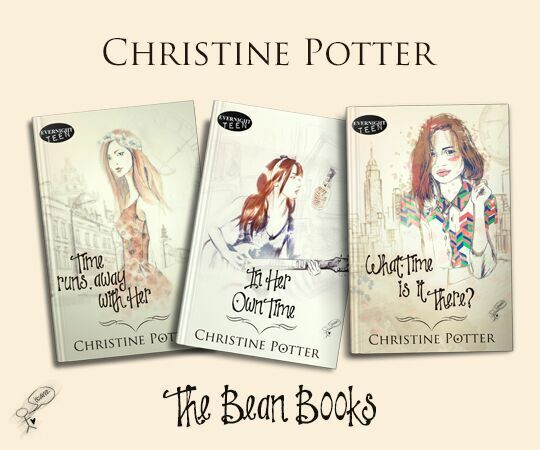 The whole Bean Book Triology is available from Amazon in your choice of media: either Kindle or paperbacks. And you can contact me through this blog if you'd like an autographed paperback. Here's the link to my Amazon author page; you can get to all my books from there. And here's my official badge and everything. WOOT! Meanwhile, it's National Poetry Month--and time for me to get back to my writerly roots. I was a poet long before I wrote YA fiction, and I often marathon online with other poet friends in April, writing a poem a day. One other thing I'm really happy about is the fact that writing fiction has loosened me up as a poet. That sounds braggy, and I didn't mean it to--but all the woodshedding I did with editors over the three Bean books feels like it changed the way I look at writing in general. I wasn't going to marathon this year, but I'm so glad I chose to! As always, I'm having a great time at The Waters, a fine and dandy poetry workshop and online space to draft and get support. Speaking of poetry, I just turned in my final round of edits to Kelsay Books for Unforgetting, which will be my next book of poems, due out soon. I've chosen a piece of art for the cover, and gotten my blurb requests out...Don't have a cover design yet, but if you'd like a sneak peek, here's the painting I'm using. It's by my longtime friend and cover artist Nancy Quaglia. Unforgetting is a book about memory and memory loss. It's very much about my mom as she struggles with memory--but it's also about my own memories. A lot of the poems in the middle of the book started out as sketches for chapters in the YA books, which are set in 1970 and 1972, so it all kind of fits together. And the book is also about losing my dad, with whom I had an intense, often difficult relationship. Nancy's cover art is a beloved memory of mine. It's the kitchen door to her old house in Piermont, a yard in which I spent a lot of time with her and her lovely daughters. I thought a door was appropriate for a book about memory. ...and as I type these words, the sun has just come out here in the lower Hudson River Valley, where I live. We had CRAZY storms earlier today, and I am grateful that the flooding near me wasn't worse than it was. So--happy spring! Happy NaPo! And hug a writer today! Cheer up, Bentley! The wait is over!! Bentley the Cat doesn't usually let the world get him down. Especially since he has spent the past month wiping out every mouse in Rockland County along with every mouse that has ever thought of moving here. Silly things come into our house and blam. But he was in a moody mood the other night, and I got this snap. He's upstairs happily absorbing radiator heat in the living room as I type these words in my drafty study with my turtleneck pulled up to my nose. So first things first: my cats are not sad. My cats are warm --very warm, thank you very much-- well-fed, loved, and happy. They don't worry too often. And neither do I! That is because Bean 3, WHAT TIME IS IT THERE? is finally out in paperback! Yes, friends, you no longer need a plastic bag for your Kindle to read WHAT TIME IS IT THERE? in the bathtub. You can now turn actual paper pages. And I can set up a Goodreads givewaway (which I probably will a bit later in the day--film at eleven). Could I just take a minute to way WAAAAA-WHHHOOO? Yes, I'm as digital as someone who grew up during the FIRST cold war can be, and I do love me the ebooks. But when a book comes out with an actual cover and a spine and it makes that lovely card-shuffling sound as you run your thumb over its pages, that's when it feels real. And speaking of shuffled cards, there are plenty of them in WHAT TIME IS IT THERE? Tarot cards, to be exact. For that I have an actual professional tarot reader, Hilary Parry Haggerty, to thank. A long time ago, she was a student in an English class I taught. 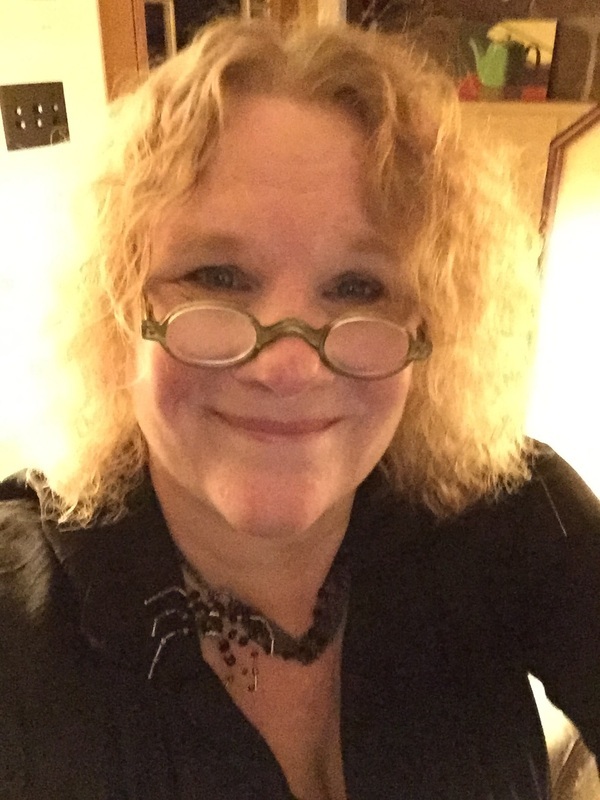 Now, she's an ace astrologer and tarot reader, and a darn interesting Facebook pal. I thanked her in the dedication. I also thanked poet Risa Denenberg, co-founder and editor of Headmistress Press (and first-rate nurse-practitioner) for advising me on the journey of Samantha Thorne, a character who is important in all three books. First two paper copies in the box heading toward me now go to those two helpful women! Hilary and Risa, I hope I got it right. Bean Three is my favorite of the trilogy. The paranormal stuff is darker, the 70's stuff is funnier, and there's a new character named Amp whom I really, really love. There's someone called The Flying, Singing Angel With No Feet. And there's probably the best soundtrack of any of the Bean Books: the usual Grateful Dead, of course, but also Alex Chilton, Miles Davis, Joni Mitchell, Judee Sill, and The Incredible String Band, to name just a few. I'll have to do a YouTube thing today, too. I have a few reviews in on the Kindle side of the book (and they'll show up on the paper side soon, too), but gosh, I'd love it if some of my analog buddies bought and added to the discussion by leaving a review. So enough bragging and wheedling! THE PAPERBACK IS OUT. Yay! And again I say YAY! Why yes. I do have a star floating in my office. And a groovy app to take its picture on my iPhone. I was just talking to my author friend Marcus Damanda on the phone about an online promotion we are doing together on Thursday October 26th, 3:30 to 4:30. It's the seventh birthday party of the press on which he and I both publish our young adult fiction, Evernnight Teen. Marcus and I are both two thirds of the way through a trilogy of books. Mine are time travel, set in the 70's, and his are dystopian fiction, set a generation or so in the future. We'll be giving away audio books, ebooks, and tie dye. You need an invite! Click here if you want one! Both our main characters happen to be named Rebecca. Rebecca is my time traveler Bean's real name. And Rebecca also is the name of the spunky, courageous gal fighting her way to freedom in The Salvation State and Absolution Island. Marcus Damanda and I are both English teachers. He's still teaching--in the trenches in a mid-Atlantic junior high. I pleaded age a few years ago and sat down to write full time. We're both into the power of the word. So yeah, I'm promoting an event, and promoting my books and Marcus' books. And I'm doing it because I think it's important. We are all of us on the planet living through tough times just now: earthquake, fire, and flood. LITERALLY! Those of us in the United States find ourselves questioning our neighbors and even family members in bitter ways we thought we never would, or could. There often seems to be more heartbreak around than there are hearts to hold it. What do you even do with all that stuff? How do you navigate it? I think the key is in The Story and The Song. Those things been sustaining human beings since we first gathered around the fire thousands of years ago to share them, to tell them and sing them. Fiction is The Story touched with magic. Okay, so that sounds kinda woo-woo, but there you have it. I believe that stuff. And I am honored to have a place near to the fire where I can get up and tell the stories in my books. I think they're pretty darn good. Marcus' books are terrific. So clicky-click! Thursday the 26th of October, 3:30 to 4:30! Come to the party!